Anthem products allow you to virtually ‘be there’ every time you listen to a favorite piece of recorded music or experience the excitement of surround-sound home theater. Our reputation in analog and digital design is legendary and our products continue to receive industry awards and acclaim in the finest magazines. 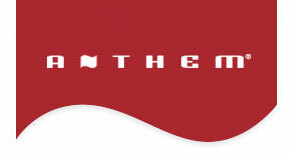 Around the world, Anthem is consistently the brand of choice for leaders in the field of music and entertainment. Our original goal was to create a high-end product without a high-end price. Our success is reflected in an award-winning product lineup that continues to set new reference standards of performance regardless of price. Other Anthem products available. Please ask.